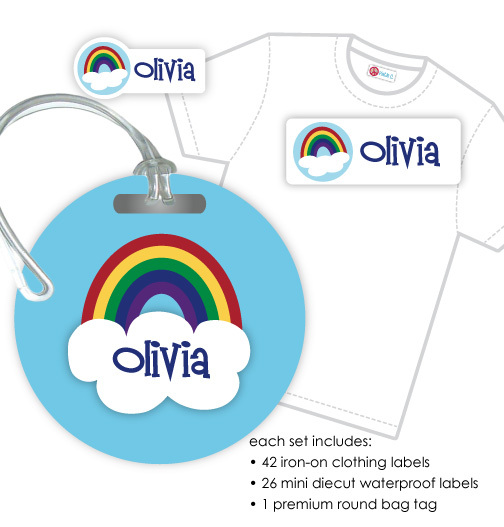 Save money by ordering a label and bag tag combo set! Our most popular designs and sizes -- perfect for daycare, summer camp, shower gifts, birthday gifts and back-to-school. Label with style! 42 designer iron-on labels, 1.61"x0.61"
clothing labels permanently adhere to cottons, cotton-poly blends, woven fabrics, denim and jersey knits with an easy iron-on application -- safe to machine wash and dry!